Eurotech Assessment And Certification Services Private Limited. A documented System: Your ability to step back and take a look at your day to day operations will be limited, if you have not documented all the recordable procedures and processes within your organization. This will stop you from solving out unwanted issues and improving efficiency throughout the product’s life-cycle. An error log: Errors may be repeatedly happening but no one may bring those to the attention of management. This may happen due to the reason that no one sees it as their job to do so. Making a log of the non conformities helps you to review and control them, and also restricts the small issues to escalate into unsatisfied customers and lost business. Process for seeking customer feedback: Customers are an essential part of every business and therefore their needs should be important to you. With the changing trends, knowing if those needs are being met will help you to improve your product or service, ensure repeat business, give a competitive advantage and reduce errors. Staff Training Register: Training of staff is important for any business. It will increase the morale of the employees, and will provide you with a skilled workforce. Staff training register will provide evidence of the qualifications and education of the employees when required. A final inspection procedure: What you deliver and how you deliver is important for your business. Carrying inspections of the procedures and processes relating to the delivery of your services/products, at the end of the journey, will help you to spot things that you may wish to do differently, helping you to streamline processes and save costs. Regular process checks: It is a good practice for management to carry out regular checks during the product/service delivery process, which will ensure that everything is running efficiently and will help you to note anything that could be preventing you from achieving the desired goal. Documented procedure for design and development: For those companies which are affected by design and development, it is important to map out how design is undertaken, showing the client the stages involved. This helps to ensure consistent delivery of service. Traceability of design and development records: It is important to ensure that the steps undertaken while mapping out the design are logged along the way. This will provide you with traceable records, should anything be questioned in future. Procedure for calibration: Where exact measurements & calibration are required, a proper procedure should be in place to ensure that they are carried out correctly. You should ensure that these are in accordance with the manufacturer’s guidelines and any legal requirements which may apply. This will help you to avoid unnecessary fines and will protect your reputation. Staff induction records: Poorly trained staff leads to poorly delivered products and services. Therefore, it is important that the staff undergoes a proper induction process. This will ensure that processes are adequately followed and the desired level of service is maintained. ISO 9001 can provide you with a framework to manage all these non-conformities, which will ultimately free up your valuable management time. Eurotech ACSPL is an IRCA approved training partner (ATP) and conduct ISO 9001:2015 Quality Management System Trainings and Certifications in Delhi, Mumbai, Chandigarh, Chennai, Lucknow and Ahmedabad. We provide both in-house as well as open-house trainings at reasonable fee. To know more about these trainings, drop an email at trg@eurotechworld.net or call us at +91 9316744482 or 0172 - 4191128. The older version of ISO 17025 was the second edition which was published in 2005. Since then, the market has undergone many changes. To meet these changes and to establish a harmonization among other existing international standards, ISO 17025:2005 was revised and upgraded to ISO 17025:2017. This updated standard is based on a new structure which aligns it with other existing ISO/IEC conformity assessment standards. Increased flexibility in the guidelines for documented information, procedures, organizational responsibilities and processes. Recognition and incorporation of computer systems, e-records, and production of electronic reports and results. Addition of all laboratory activities in the scope of the standard which includes calibration, testing and sampling related with subsequent testing and calibration. Eurotech Assessment and Certification Services Pvt. Ltd. conducts ISO 17025:2017 Upgradation and Internal Auditor Course at reasonable fees. Drop an e-mail at trg@eurotechworld.net or call at +91-9316744482 to know more about this training. 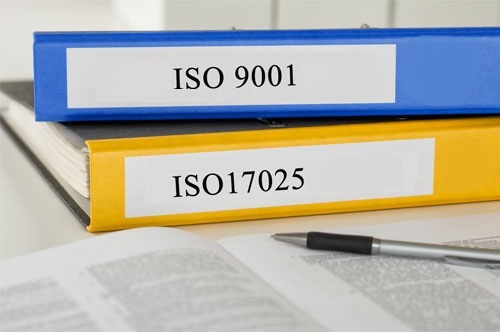 The difference between ISO 17025:2017 and ISO 9001:2015 is in the applicability of the standards. ISO 9001:2015 can be applied to all types of industries as its requirements are very generic, whereas ISO 17025:2017 is applicable only on calibration laboratories as its requirements are very specific as to what you need to implement in calibration laboratories. ISO 17025:2017 explains that a Quality Management System is necessary for the proper functioning of a calibration laboratory, and then provides you with two options i.e. Option A and Option B. If the laboratory has not implemented ISO 9001, then a minimum set of QMS requirements which are needed for the applicability of ISO 17025:2017, need to me fulfilled. This is referred to as Option A. On the other hand, Option B states that if you have a QMS which meets the requirements of ISO 9001:2015, then you have everything that you need. However, it is important to note that while ISO 9001 implementation is nice to have, it is not required to comply with ISO 17025:2017. Context of The Organization: ISO 17025 does not talk about identifying and specifying your interested parties, internal and external issues or about establishing the scope of our QMS. Quality Objectives: ISO 9001:2015 has important improvement goals for the QMS which are not included in ISO 17025:2017. Leadership: Although some leadership commitment is there, there is no listing of leadership commitments, including the quality policy, in ISO 17025:2017. Monitoring and Measurement: While there are some requirements of monitoring and measurement in ISO 17025:2017, these do not address all of the requirements of ISO 9001:2015. Some Support Processes: Though ISO 17025:2017 includes many support and resource requirements as it applies to calibration laboratories, but it does not include all the requirements from ISO 9001:2015. For example, it does not include requirements about organizational knowledge. ISO 17025:2017 standard is basically a set of how – to instructions for calibration laboratories to address these requirements. 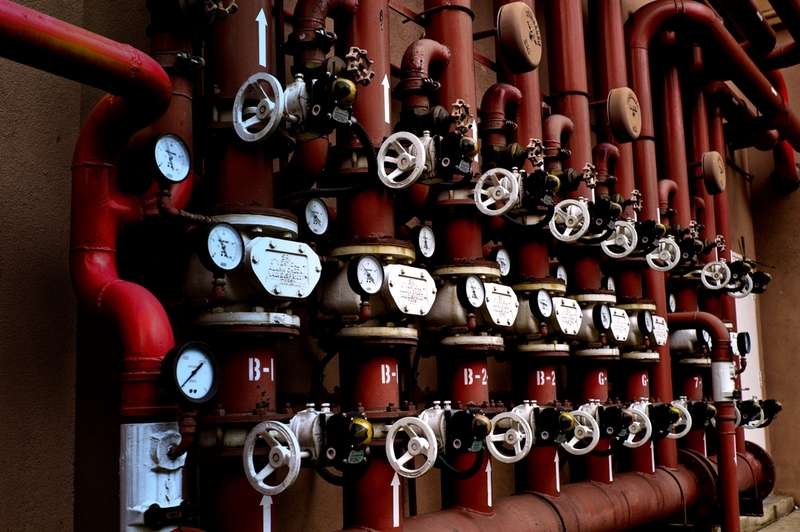 This is the reason that Option B exists in the standard as some companies will find it helpful to implement all of ISO 9001:2015 requirements rather than just the minimum. Eurotech Assessment and Certification Services Pvt. Ltd. conduct ISO 9001:2015 and ISO 17025:2017 Trainings as well as Certifications (Only of ISO 9001) at reasonable fees. Drop an e-mail at trg@eurotechworld.net or call +91-9316744482 to know more about these trainings. Though ISO 9001 does promote risk based thinking, it does not provide any risk methodology. The organizations can freely adopt their own approach. The adopted approach should be proportionate to the possible impact on customer satisfaction and the desired results of the quality management system, should the opportunity or risk is realized. After completing the first step of identifying the risks and opportunities, it must then determine how these need to be addressed. Any action taken to address these risks and opportunities should be matched to the possible impact of the opportunity or risk on the ability of the organization to achieve the set objectives of the QMS. This also includes avoiding risk, eliminating the source of its occurrence, changing the consequence and sharing the risk. It must be noted that not all risks require an action. An organization may even chose to take a risk in order to pursue an opportunity. Organizations can train themselves as per ISO 31000 which is a standard for Risk Management. The training will act as a useful resource for those who wish to implement a more formal risk management approach in their organizations. Eurotech, an IRCA approved training partner (ATP), conducts ISO 9001:2015 Quality Management Trainings. These training will help you better understand the concept and importance of a quality management system, while encouraging risk-based thinking in your organization. To know more about this training, visit our website, drop a mail at trg@eurotechworld.net or call us at +91 9316744482 or 0172 - 4191128. Why is it important to calibrate your instruments in an ISO 17025 Accredited Lab? ISO/IEC 17025 accreditation proves that a laboratory has an acceptable quality management system in place and has the competence and ability to provide calibration and testing results. Accredited laboratories perform tests against ISO 17025 and the results are mutually acceptable between different regulatory and government organizations. The arrangement between accreditation bodies is that accredited member’s test results will meet the same minimum quality standard regardless of the accreditation body and that the calibration results would be recognized as if they had performed the calibration themselves. Eurotech Assessment and Certification Services Pvt. Ltd. conducts ISO 17025:2017 Upgradation and Internal Auditor Courses. Drop an e-mail at trg@eurotechworld.net or call at +91-9316744482 to know about the course details. Requirements of the QMS, including documented info, determining and planning process interactions. ISO 9001:2015 Training provides an opportunity to apply the quality management principles in your organization. Professionals who are responsible to develop, implement, audit and manage a QMS should take ISO 9001:2015 training along with organizations seeking to improve the performance of its employees. Also, employees who wish to continually improve will also find our trainings relevant. Eurotech ACSPL is an IRCA approved training partner (ATP) and conduct ISO 9001:2015 Quality Management System Trainings and Certifications. We provide both in-house as well as open-house trainings at reasonable fee. To know more about these trainings, drop a mail at trg@eurotechworld.net or call us at +91 9316744482 or 0172 - 4191128. The customer is the center of it all: The first and foremost focus of Quality Management System is to meet and exceed customer expectations. You’ll begin to see ISO 9001 at work when you observe an expansion of your customer base with new customers and increased repeat business from the loyal customers. Leaders at all levels need to ensure unity of direction and purpose: Leaders don’t have to order, tell or command employees to do something. True leadership requires developing a work culture in which people know and do what needs to be done under a unified direction and purpose. A leader also needs to improve communication and coordination among all the functions in the organization to meet the desired quality objectives. Engaged employees are productive employees: People being an organization’s most important asset, when employees are engaged, they become more empowered, competent and dependable to deliver value. Engaging people means giving them recognition for their work, constantly communicating with them, respecting them as individuals and enhancing their personal and professional development. Understand the process approach: Leaders need to understand that each activity they do is part of a system which should be linked together with other sub-system to form one cohesive system. Employees, machines, leaders and processes don’t each work in lone. Their individual activities should be managed as interrelated processes to meet one objective. This helps to achieve more consistent and predictable results and also enhances the ability of people to focus their efforts on key areas. Keep Improving: Organization, with a positive outlook on improvement, can better react to changes in the external and internal environments if necessary. For example, technologies evolve too quickly or become obsolete. To prevent the organization from its negative effects, employees at all levels need to be trained on how to apply new methodologies and tools. Decisions based on evidence: Decision making is a complex process which involves multiple inputs and their interpretations. All the data required by the decision makers should be accurate, secure and reliable and should be evaluated by competent people using suitable methods. Foster relationships with relevant partners: Here partners may include customers, employees, resellers, investors, suppliers and the community. Implement a system approach: The process approach is part of the system approach. This means that analyzing, understanding, and managing interrelated processes help in creating a coherent system that contributes to effectiveness and efficiency in attaining organizational objectives. Deciding to develop and implement a new or improved QMS is one of the strategic decisions of the organizations. For this, efforts should be made for identification and minimizing the risk while meeting or exceeding the requirements of customers and goals of the organization. Planning, designing, developing, producing, delivering and providing support for goods and services keeping in mind the customer’s perception of the same. Active management of the relationships with customers for a sustained success.